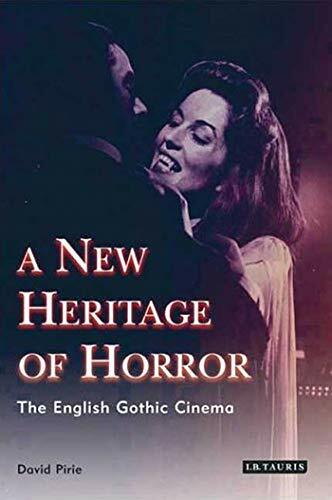 David Pirie's acclaimed "A Heritage of Horror" was the first book on the British horror movie, and the first to detect and analyse the roots of British horror, identifying it as 'the only staple cinematic myth which Britain can properly claim as its own.' It has long been regarded as a trail-blazing classic, "having the force of a revelation", according to one recent study of the subject, and heralded by Michael Powell and Martin Scorsese.Now with "A New Heritage of Horror", David Pirie has revised his original work, bringing the story up to date and into the 21st century. Alongside the classic films of the twentieth century, all explored within the full context of their production and appearance on our screens, he examines the latest horror boom, inaugurated by such films as 'The Others' and '28 Days Later'. He has also uncovered fresh documentation from the original files for this new edition, to add more revelations about the history of UK horror and Hammer Films, not least the largely untold story of their desperate battles against censorship. He has further up-dated the original text and added new illustrations. "The New Heritage of Horror" promises to be one of the key film books of 2008. A former Film Editor of 'Time Out', David Pirie turned to screenwriting with a string of successful productions of a gothic or noir flavour from 'Rainy Day Women' via Lars Von Trier's 'Breaking the Waves' to 'The Woman In White' and 'Murder Rooms'. Critic Tise Vahimagi recently noted that while Pirie's film noir-influenced works may be among the most satisfying of that style on TV, it is with his Gothic screenplays that he excels as a genre writer.